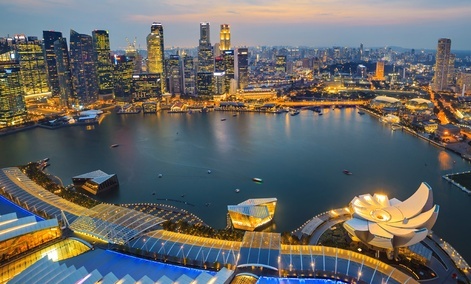 Singapore might be a small island country in Southeast Asia, but it has recently had big wins with its e-government programs. Its recipe for success? Creating services based on the actual needs of the citizens, rather than the needs it assumes they have, said Singapore Chief Information Officer Chan Cheow Hoe. “In the past, the government thinks that they know what you want, and that’s probably the biggest mistake in the world,” said Hoe, speaking Thursday at the AWS Government, Education and Nonprofits Symposium. When Singapore’s government realized traffic congestion was delaying ambulances, it launched a crowdsourcing app to solve the issue, according to Hoe. Now, if a person has a medical emergency, the MyResponder app will notify the doctors, paramedics and health care workers in closest proximity. In a matter of months, the app has already saved multiple lives, Hoe said. When Hoe became CIO less than two years ago, “there was no semblance of a digital community,” he said. He started with a team of only seven people. It has continued to grow since; by the end of the year, Hoe expects the team to top 100 people. Another app, called OneService, was rolled out after Singapore’s government realized citizens find it hard to connect with the right government entity when they encounter a problem. The app allows users to identify what type of issue they’re having, by selecting from different categories like “animals” or “cleanliness” and then filling out the necessary information. The feedback then automatically goes to the appropriate government agency, according to Hoe. The data created from OneService has helped the government recognize patterns in citizens’ problems and has helped it anticipate problems before they arise, according to Hoe. Cloud computing has had a role in Singapore’s government in the past, but it has recently become more important, according to Hoe. Last year, the government spent less than 10 percent of its budget on the cloud. This year, it spent about 25 percent. Hoe also gave the example of the tax-filing process in Singapore, which normally takes just minutes for citizens to complete. More than half of the citizens don’t need to do anything but verify information, because the government already has the information it needs, according to Hoe. “There should be no transaction if it’s not necessary,” Hoe said. Hybrid cloud: The best of both worlds? Cloud providers aren’t sharing their metadata – and it leads to bad trust with customersHow will IoT impact the aging population in Singapore?